International travel continues to steadily increase, including leisure travel, travel to one’s country of origin to visit friends and relatives, travel for service work, and business travel. Travelers with HIV may have an increased risk for travel-associated infections. The pre-travel medical consultation is an important means of assessing one’s risk for travel-related health issues. The aim of this review is to provide an update on key health considerations for the HIV-infected traveler. Like all travelers, the HIV-infected traveler should adhere to behavioral precautions, including safety measures with food and water consumption, safe sexual practices, and arthropod bite avoidance. HIV is a risk factor for venous thromboembolism and patients should be educated regarding this risk. Most pre-travel vaccines are safe and immunogenic in HIV-infected individuals, though live vaccines should be avoided in patients with low CD4 counts. Malaria chemoprophylaxis is strongly recommended in patients with HIV traveling to endemic areas and no significant interactions exist between the commonly used prophylactic anti-malarial agents and anti-retroviral therapy (ART). 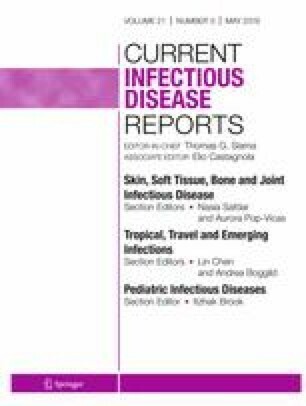 Travelers with HIV, particularly those who are not on ART or who have low CD4 cell counts, may have increased risk for tuberculosis, malaria, enteric infections, visceral leishmaniasis, American trypanosomiasis, and endemic mycoses such as histoplasmosis, talaromycosis, and coccidioidomycosis. The immune status of the HIV-infected traveler should be assessed prior to travel along with the duration, itinerary, and activities planned during travel in order to carefully consider individual risk for travel-related health issues. Daniel L. Bourque and Daniel A. Solomon are first co-authors. Daniel L. Bourque, Daniel A. Solomon, and Paul E. Sax declare no conflict of interests. • Ippolito MM, Jacobson JM, Lederman MM, Winterberg M, Tarning J, Shapiro TA, et al. Effect of antiretroviral therapy on plasma concentrations of chloroquine and desethyl-chloroquine. Clin Infect Dis. 2018; doi: https://doi.org/10.1093/cid/ciy405. An important study assessing the impact of antiretroviral therapy on commonly used antimalarial medications.